Cornet Creek Falls is one of the most popular hikes in Telluride, climaxing at a fantastic 80-foot waterfall. It’s a short, quarter mile hike that takes less than an hour round trip. The moderate hike does require a bit of rock scrambling, and has loose gravel, so wear proper shoes. It’s also steep, with drop-offs and sketchy ledges in places, so no young kids. You can view the waterfall from different sides. 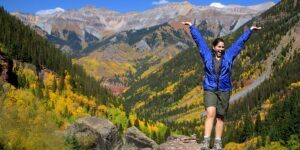 The hike offers terrific views of Telluride Ski Resort, and its treelined slopes. The waterfall is best visited between May and October, when the trail is accessible and most likely snow free. Although expect some ice earlier in May. 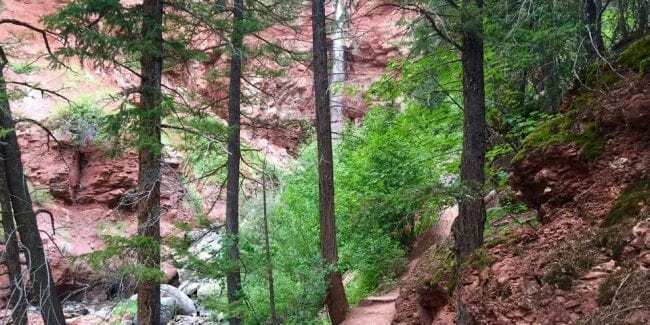 This is another trail close to downtown Telluride, so does receive heavy foot traffic. Dogs are allowed on-leash, however, since it’s steep, narrow and a popular trail, they are probably better left at home. The beautiful red rocks that surround the trail make for fantastic photo opportunities. 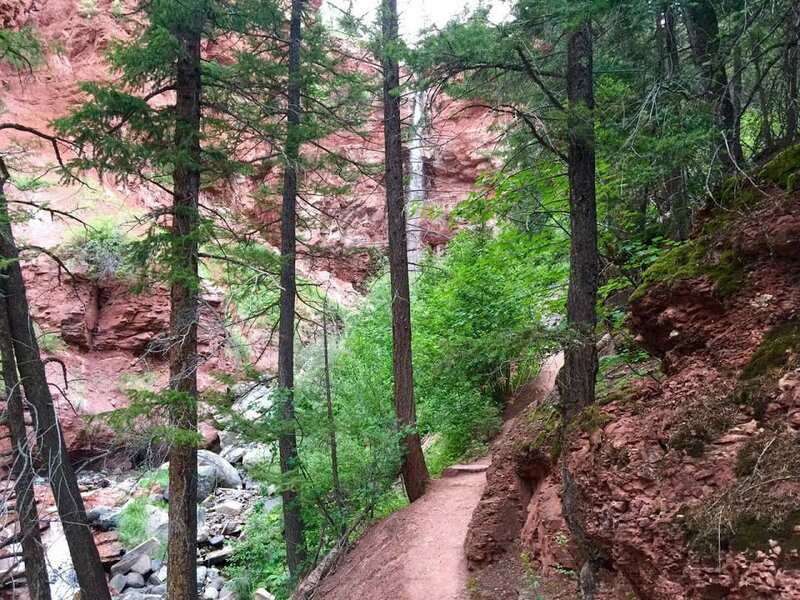 From Telluride – While in town take North Aspen Street north to reach the Cornet Falls Trail. You don’t cross the Corner Creek Bridge, which takes you to the Jud Wiebe Trail, instead staying on North Aspen St until it dead ends at the trailhead. You can park at the end of the paved trail, before the sign that says no parking ahead. While on the hiking route, stay to the right at the bridge after you cross the Cornet Creek at the start. Remember it’s a quick, steep narrow hike so good traction is recommended on your boots. There are numerous routes to other trails to access from Cornet Creek Falls if you’d like to continue on a longer hiking loop.